coolwinks Amazon Pay 100% Cashback Offer – Hi Guys, hope You are Doing Wonderful Newdays With Our Loot Tricks,Free Recharge Tricks, Promo Code Offers, Deals, Paytm, Mobikwik, Freecharge offers, Loot recharge tricks, discount offers. Here is Biggest Loot After Much More Time. We Are Getting The Any Sunglasses or Fashion Glasses Worth Rs.1700 “Absolutely Free”. This is Biggest Loot As Of Now. Must Loot This One Before Offer Stops. Amazon Pay Is Offer The 100% Cashback Rs.1700 On Coolwinks. 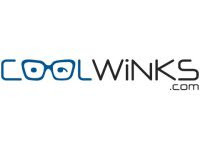 Means You can Get Any The Products Worth Rs.1700 From coolwinks For Absolutely Free. 5. On Completing The Payment , You Will Receive 100% Cashback Rs.1700 In Your Amazon Pay Wallet Within 3 Days Or Mostly instantly + Remaining Rs. 100 would be credited by Coolwinks in user’s Amazon Pay wallet within 72 hours. Get 100% Cashback up to Rs.1700, on a min order value of Rs.1700. Valid for first 10,000 transactions only. Users who have already availed the offer in November 2018 are not eligible for the same. Rs. 1600 Cashback would be credited instantly by Amazon Pay. Remaining Rs. 100 would be credited by Coolwinks in user's Amazon Pay wallet within 72 hours. Rs. 1600 Cashback is offered by Amazon Pay. Remaining Rs. 100 Cashback is offered by Coolwinks. In case of cancellation, refunded amount less of cashback (Rs. 1600 by Amazon Pay + Rs. 100 by Coolwinks) will be credited back to the source of funds used while making payment. Cashback processed would be adjusted in the refund value. e.g. If Rs .1800 is paid by the customer & cashback of Rs. 1700 (Rs. 1600 by Amazon Pay + Rs. 100 by Coolwinks) is already received - balance that would be paid to customer as refund would be Rs. 100 only. Offer is valid from 16th November, 2018 (00:00 Hours) & ends either on 18th November 2018 at 00:00 hours or at completion of 10,000 transactions; whichever happens first.